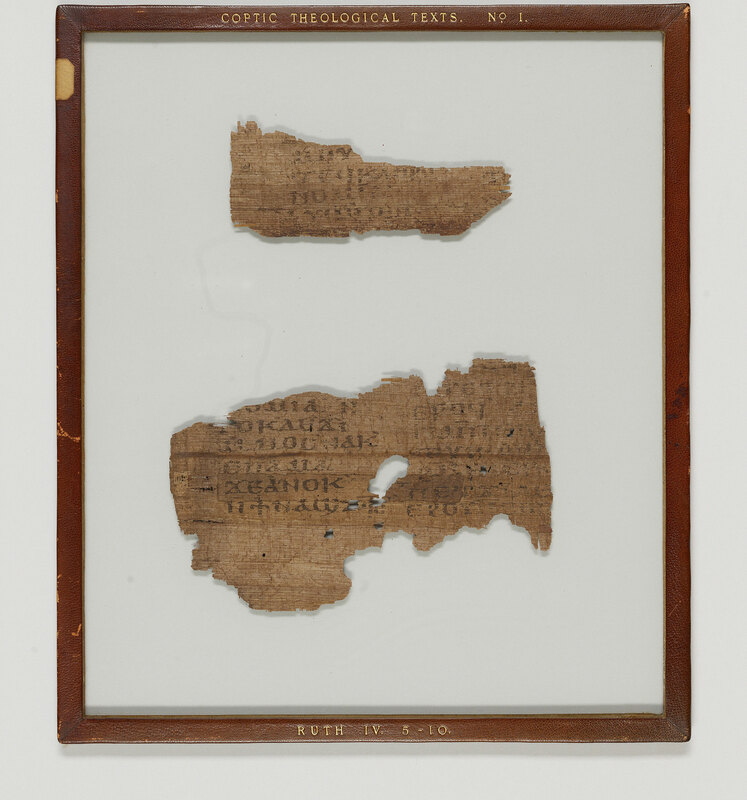 Manuscript fragments (.1 and .2) from a leaf of a papyrus codex of the Book of Ruth (Ruth 4:5-10); written in Egypt. 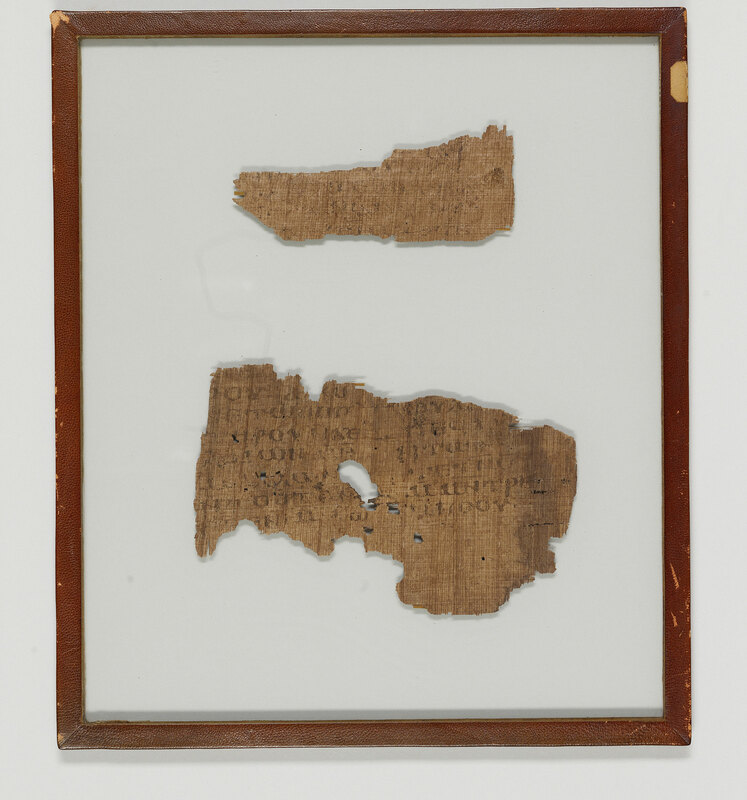 1.2 contains part of the lower margin. Script: Upright, tending towards thick-and-thin style. 10 lines = ca. 101 mm. Superlineation: Connective. Punctuation: Colon at ends of paragraphs. Tremas.